The DB7 is my favorite Aston. I think it’s gorgeous – especially the convertibles. But when Ford first put the DB7 out – it was powered by a less-than-exciting straight-six. While that engine followed the long line of Aston sixes from back in the day, it was out of line with modern luxury car buyers. Thankfully they figured this out and decided to stuff a 6.0-liter V12 underhood. The output was 420 horsepower – about a hundred more than the six. The car went on sale in March of 1999. But prior to that, Aston had to do some development work on the new engine. Enter this car, chassis DP 001. It’s a DB7 – and it’s listed in the lot description as a “circa 1999” but I would assume that, if the car went on sale in March of 1999, they started development work in 1998 or prior – hence my labeling it as a 1998. Anyway, this car was used as a test mule with the new powerplant. Later, it was sold by a dealer (on behalf of Aston Martin) in England in 2004 under the condition it never be road-registered and used on track days only. And that’s what it has been doing. Recently, windows have been added and the interior cleaned up – but it currently is not running. This is a chance to own a piece of Aston Martin history – a factory prototype (even though it isn’t too exciting, I still think it’s cool). It is expected to sell for between $23,000-$31,000. Click here for more info and here for the rest of this auction’s lineup. Update II: Sold, Bonhams, Newport Pagnell 2015 $35,612. 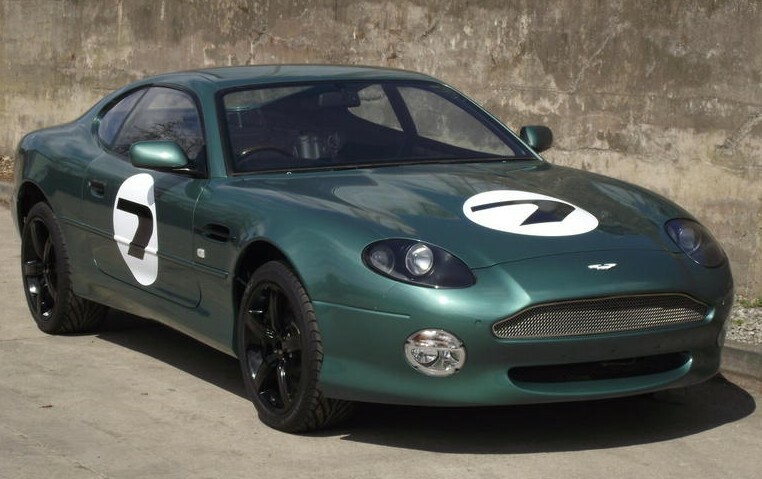 This entry was posted in Uncategorized and tagged 1998, aston martin, auctions, Bonhams, cars, coupe, db7, prototype, sports cars, v12 by classiccarweekly. Bookmark the permalink.